Bionym is a Toronto-based technology company which specializes in biometrics and authentication for consumer electronics. The company has developed the first wearable authentication device that reads the user’s Electrocardiogram (ECG) to validate user identity. Developed in the form of a wristwatch, the Nymi includes an electrode on the wrist and another on top of the device. Authentication is done when the device is on the user’s wrist with one finger on the top electrode to complete the circuit. This eliminates the need for passwords, for instance. The Nymi operates on the premise that everyone has a unique heart rhythm which is protected inside your body. Compared to fingerprints, there are no latent samples of ECGs that can be left behind for skimming. ECGs are made unique by temporary and permanent factors namely heart rate, stress, heart size, electrical signals and position in the chest. Upon wearing the Nymi on the first time, the user is enrolled by the device. This process includes stripping away temporary ECG data and converting the persistent factors into a unique number known as the HeartID. HeartID is encrypted using elliptic-curve public-key cryptography implemented in embedded hardware in the device. When removed from the user’s body, the Nymi is deactivated and can only resume transmissions when it is on the user’s wrist. Transmissions are done over Bluetooth 4.0 Low Energy (BLE) radio signal to any Authorized Authentication Device (AAD) and Nymi Enabled Devices (NED). AADs could be smartphones, tablets or other computers with the official Nymi companion app installed. NEDs include any Bluetooth enabled device, although these are not allowed to receive biometric data from the Nymi. 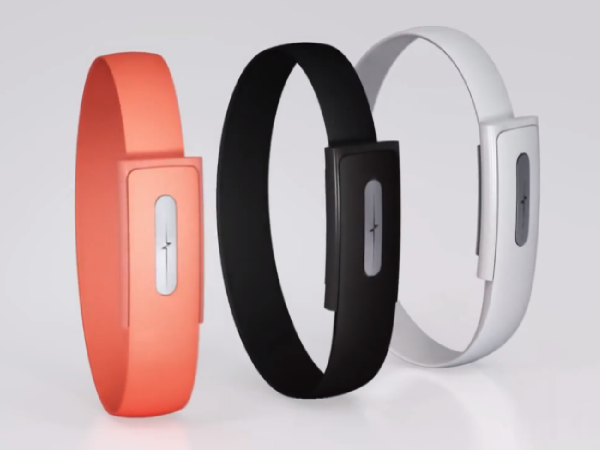 The Nymi is expected to reach the market in June 2014 and is currently priced at $79. Bionym is encouraging developers to create applications for the device by hosting an SDK on their website, the kit has already been downloaded over 6000 times.